Today we release the fist installer containing the initial release of our Web Remote Client (v2018.1.7.0). 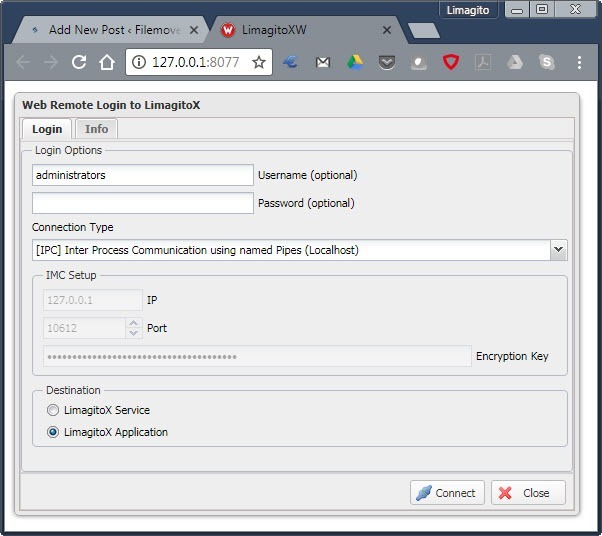 When stepping through the setup you’ll get the option to install the Web Remote Client. 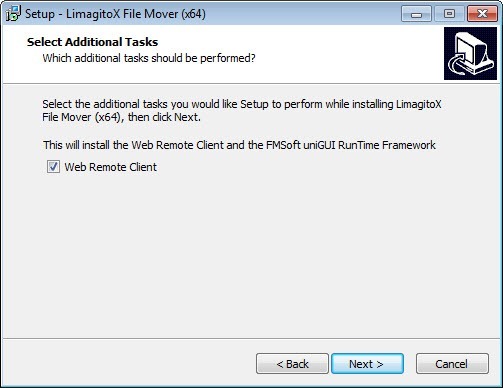 This will add the Web Remote Service (LimagitoXW.exe) to the install directory and will install the FMSoft uniGUI RunTime Framework. This framework will be used by the Web Remote Service. 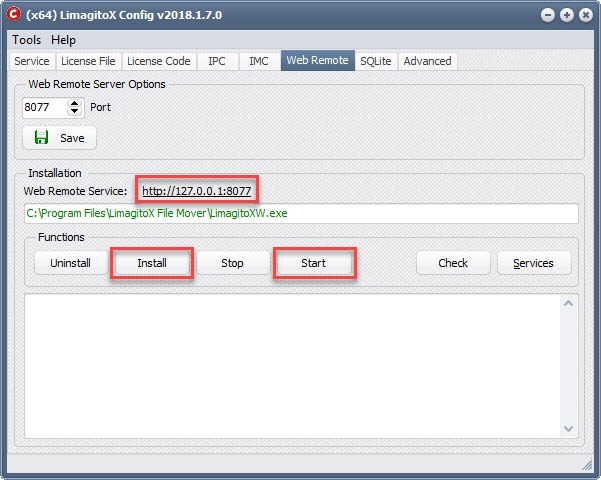 After installation you can install and start the Web Remote Service using our Config tool (LimagitoXC.exe). Be sure that the File Mover application or Service is running. Open your browser at http://127.0.0.1:8077 (= default) or click on the link. 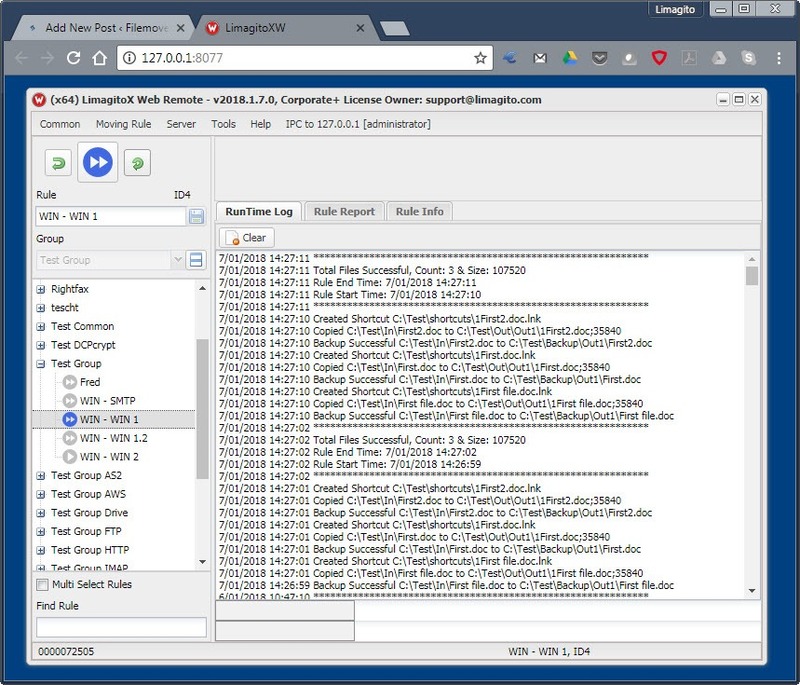 We’ll continue to add the different existing options to this new Web Remote Client.